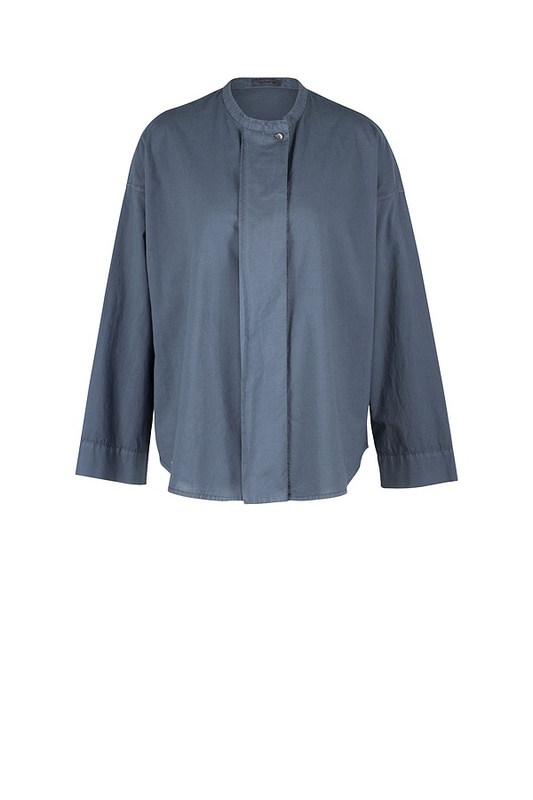 Pure, clean design lines which we know from Asia were the inspiration for this OSKA blouse. Its silhouette shows a minimal A-line. Comfortably wide sleeves invite you to turn them up. The hem is slightly rounded. The blouse’s most conspicuous style element is an elaborately worked button panel of which only the top button is visible. 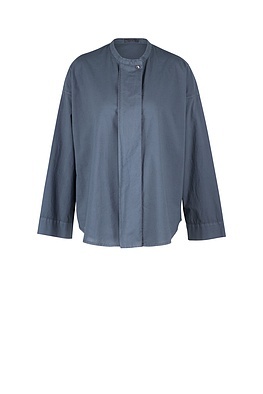 A close-fitting collar with small facing is also Asian-inspired.